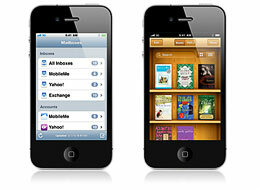 Digital Mom Blog > Technology & Web > iPhone 4G – Mommy Likes. iPhone 4G – Mommy Likes. The new iPhone 4G was officially announced at WWDC on June 7, 2010. Below are details of the newest Apple product, the official iPhone 4G video and a graphic displaying what I really feel about the vibes Steve Jobs is sending to us iPhone 4G lusters. The new iPhone 4G will officially release on June 24th in select countries. Pre-order will begin on June 15, 2010. Just a few days, so if you want to pre-order – be ready! The new phone is powered by an A4 CPU (the same chip used in the iPad) and sports a 3.5-inch screen with 960×640 resolution, dual mics, and an upgraded camera system that will include HD video recording and editing capabilities. As sour as I am that my contract doesn’t renew soon when it comes to the new features on the iPhone 4G – I will eventually get this phone! Thanks for your interesting post.I’m sorry I cannot add to it as I have no experience with real estate, but can you help me as you appear like a wealth of knowledge. If I market my very own property without having a real estate agent, precisely what is my vulnerability to legal responsibility to a purchaser? Say I sell a residence that has known or unknown problems. What is the liability Im exposed to, if this isnt disclosed to the consumer? Im sure all states are diverse, but Im sure there are some standard rules. Specifically, Id like to know what Nebraskas are, if possible. Thank you in advance. Remember to do not give up the day job, but I also consider this is incredible! !